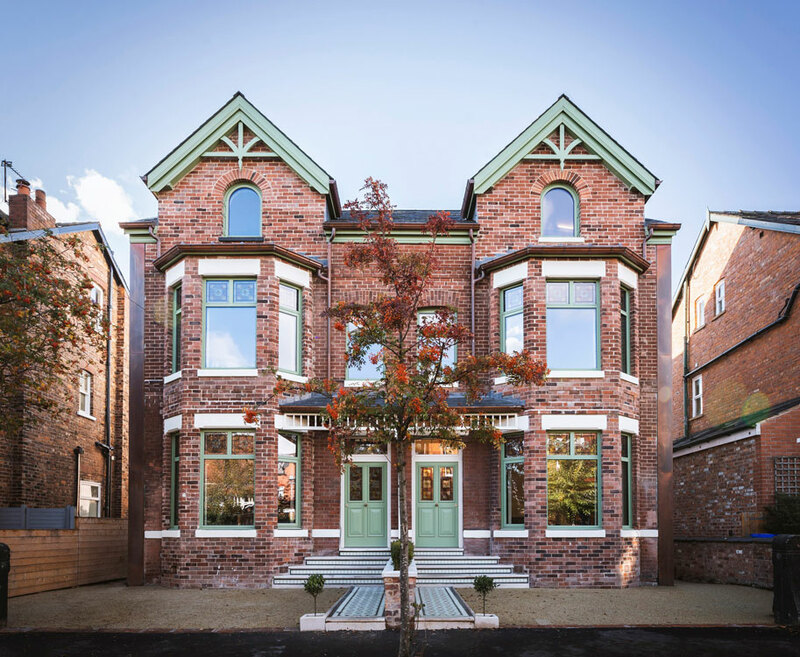 Victorian townhouses in Manchester become the first homes in Europe to achieve the world’s toughest performance standards set by the renowned German Passivhaus Institute. 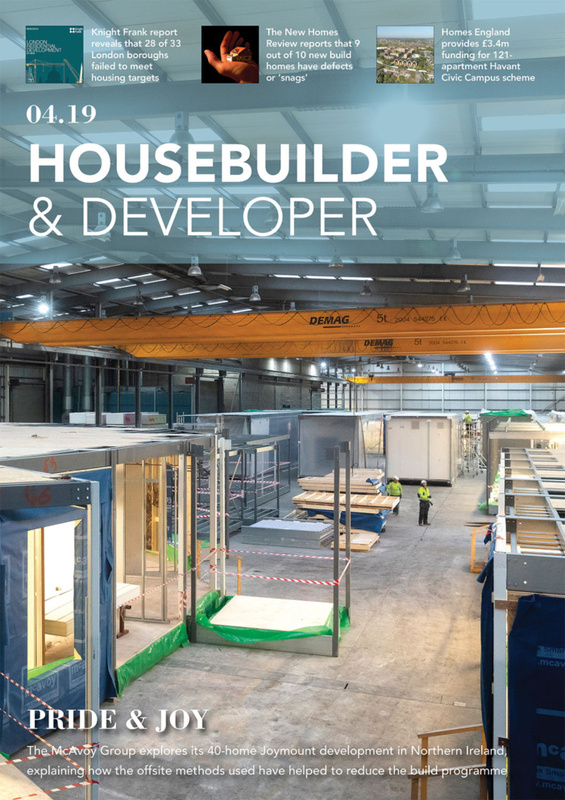 Featuring Nobel prize winning super material graphene and a host of world first technologies, these 125 year old properties outperform 99.9% of new builds – a true showcase of the potential in our heritage buildings. 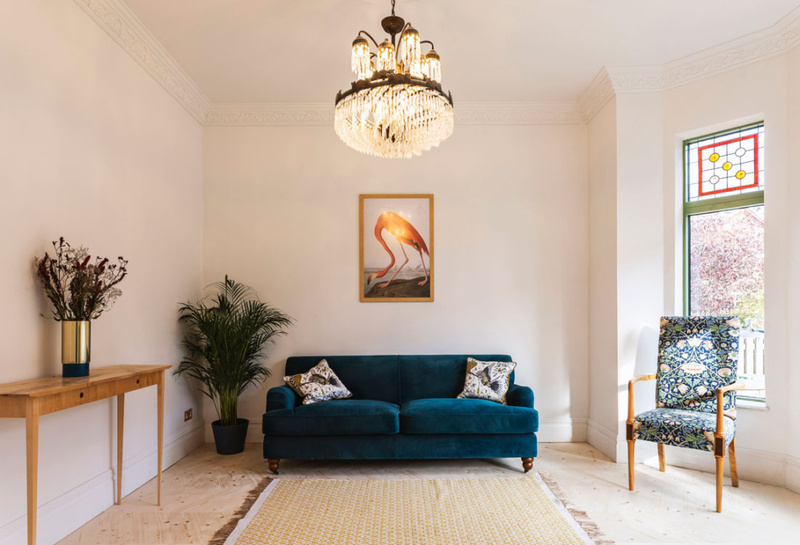 Mixing British architectural history with the most advanced and environmentally-friendly materials, the properties revolutionise occupants’ lifestyles. 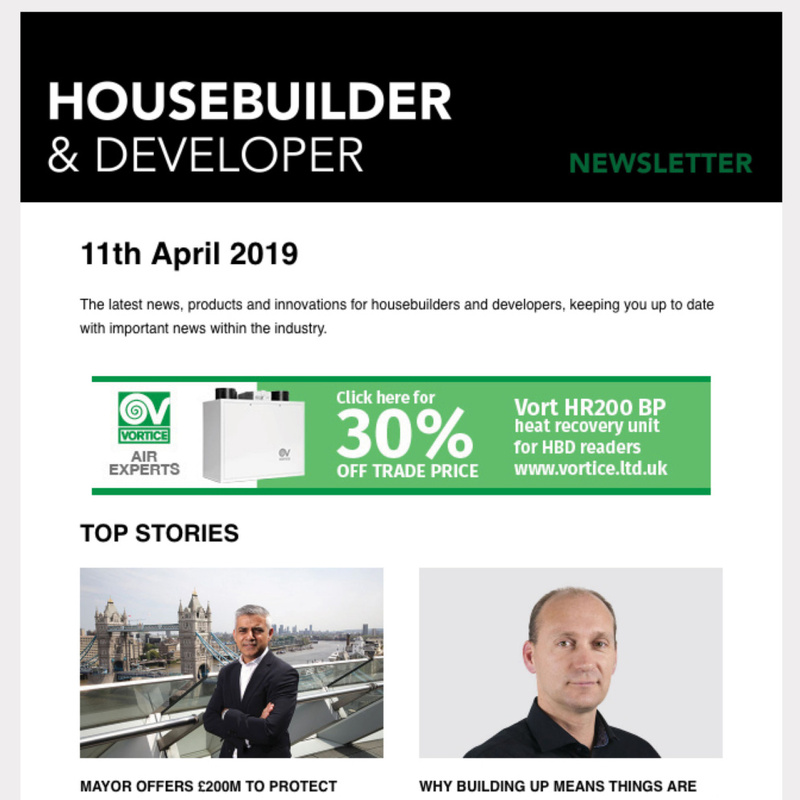 Saving £50,000 over the first 10 years with zero energy bills and minimal maintenance, these properties are packed with innovation. Photovoltaic (PV) panels on the roof not only power the homes’ lighting and appliances but also heat the hot water tank – ​the first in the world with a thermocline control​. Since the homes generate more power than they use, occupants can sell excess electricity back to the grid. One hundred pallets of insulation, predominantly made of ​recycled newspapers​, help maintain an even temperature year round and for those unusually long hot summers like the one just gone, a thermostatically controlled roof light with rain sensor provides effective passive cooling. Hidden in the roof build up, the vapour control membrane not only provides an airtight barrier but adopts biomimicry in using cactus inspired technology to keep the fabric dry. Dirty hand wash water directly flushes the WC and outside a Sustainable Urban Drainage System (SUDS) made from recycled car tyres not only relieves stress on the drains but keeps the drive weed free for life. 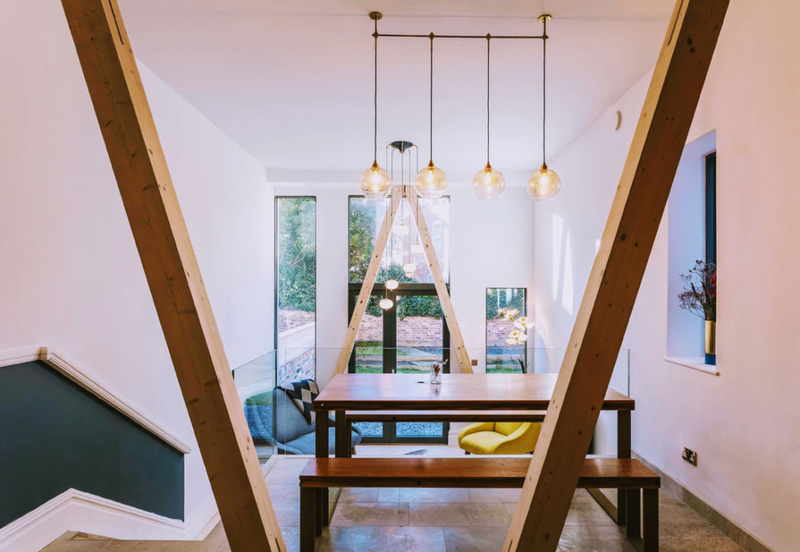 Designed to last, the properties have been specified with durable materials throughout. Graphene; the strongest material known to science has been formulated into the interior paints. This Nobel prize winning super material prevents cracking because it is 200 times stronger than structural steel. 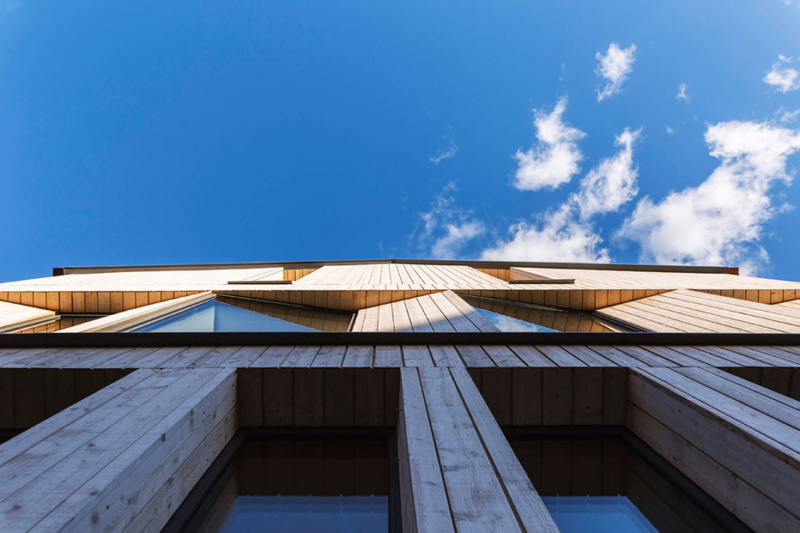 The wooden external cladding is “pre-fossilised” meaning it’s resistant to rot and UV degradation. The copper guttering and downpipes are expected to last over 100 years. Truly fresh air circulates throughout the building. A discreet, central ​Mechanical Ventilation with Heat Recovery ​system (​MVHR​) cleanses airborne germs and particulates (such as pollen) from the home and controls humidity, helping to relieve hay-fever, rhinitis and asthma. 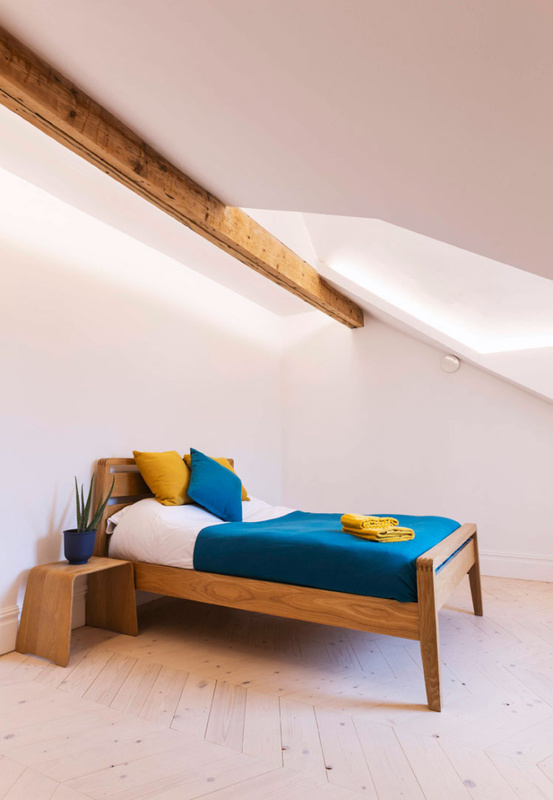 Carefully selected passive materials such as lime plaster also help to soak up harmful gasses, control humidity and minimise mould. ​Ecospheric have exceeded the Passivhaus Institute’s requirements by aiming for a petrochemical free building fabric, focusing on natural, breathable materials that avoid harmful off-gassing. 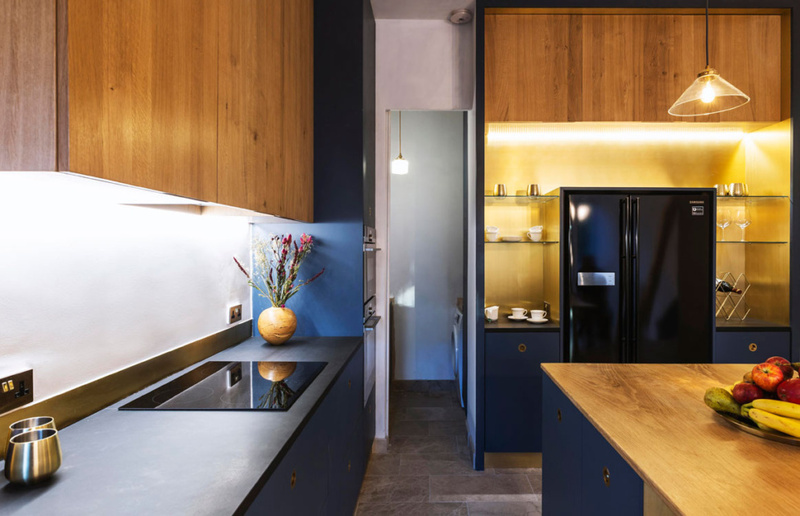 The beautiful copper light switches and hand brushed brass surfaces help to stop the spread of viruses and bacteria within the household and the electrical wiring in the homes minimise Electromagnetic Fields. 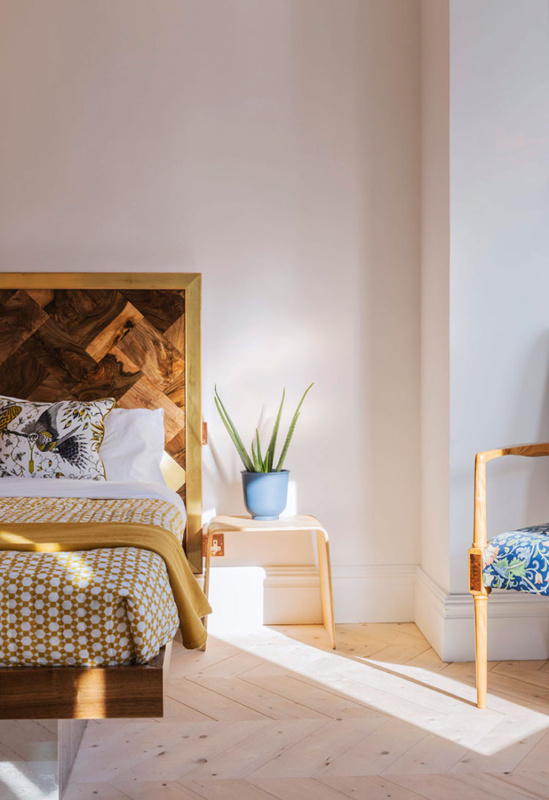 “Ecospheric have achieved a pristine period finish on Zetland Road, even ​incorporating ​stained glass in a passive house, which is a world first. From the street the building looks classically Victorian with its decorative path, cast stone steps and ornate porch. 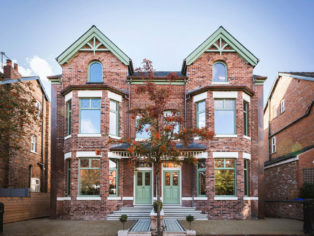 The only hint of the wealth of technology within is a subtle copper strip that blends into the traditional Victorian brickwork to disguise a super-insulated sidewall.” Martina Harrison MNAEA – Partner Jordan Fishwick Estate Agents. In the 4m high rear living area sits a wood burning stove, which whilst not needed to heat the property adds a little winter luxury. By drawing its air from outside the property the stove avoids the drafts typically caused by chimneys and exacerbated by lighting fires. The Kitchen handcrafted in locally grown timber is complemented by hand brushed brass splashbacks, Welsh slate worktops and A+++ rated appliances. 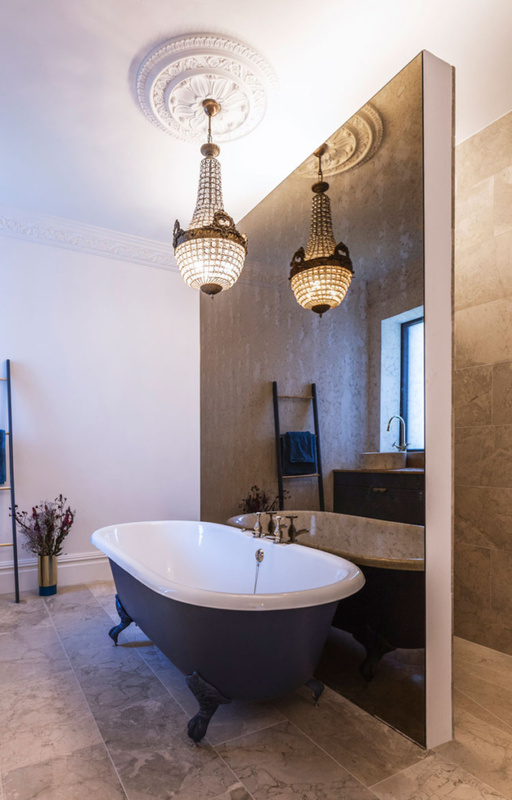 Other beautiful features to compliment the properties’ heritage include elaborate plaster cornicing and ceiling roses displaying refurbished LED chandeliers, gold plated taps, iron roll top baths and marble floors to name just a few.